We hope you enjoy your visit to our web page it will grow with time and will constantly be updated. This fabulous breed of dog has surely crept into the hearts and souls of everyone who has been owned by one. 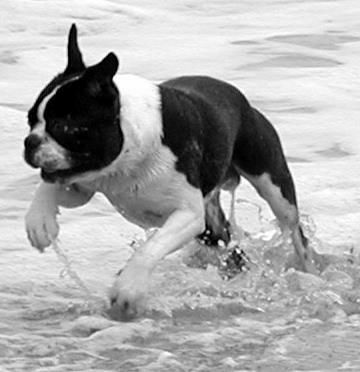 We hold one Championship show and one Open show every July and we often hold fun days where all Bostons and their owners are welcome to come along and enjoy some fun and friendship. Watch this website for the date of our next fun day which will be held when the weather is a bit cooler. Our shows this year are held on Sunday 8th July 2018 at the CCCQ showgrounds, King Avenue, Durack.